The complexity of information systems in today’s marketplace can be just as daunting as the risks to the data handled by these systems. However, common causes of loss are being identified, making it easier to take preventative control measures. It’s important to know the broad categories of information risk as well as the leading causes of breaches to better protect yourself and your business from cyber breaches. In general, these events may compromise the confidentiality, integrity or availability of your electronic data – or otherwise cause a loss of system resources. These same events may create liability to others, such as your clients, in regard to data that is stored, handled or processed by your organization. When it comes to breaches of non-public information, according to data available from the Privacy Rights Clearinghouse, physical theft, systems hacks and accidental release are the leading causes of breaches of sensitive or non-public information. The expanding use of portable devices and rapid increases in storage capacity warrant significant attention to how these devices and the data they contain are secured. For example, if the laptops used by employees at a company are poorly tracked, and a laptop goes missing, it would be extremely difficult to pinpoint who last had access to the laptop and find out where that lost media could be located. Additionally, all data should be consistently backed up on a separate device or at an off-site location, and all devices should be encrypted. Encryption mitigates most of the liability when a device is lost. Unauthorized access to networks by hackers represents nearly half of all records breached. 2Hacking ranks second in terms of frequency of occurrence, just behind physical theft. In addition to theft of information that can create privacy concerns, once unauthorized access is gained to a system, a hacker can perform a variety of malicious activities. These activities may include theft of your intellectual property, destruction of data, sabotage and theft of system resources. Accidental release of confidential information occurs in a variety of ways – via the Internet, your website, an employee’s email, or even misplacing information into postal mail or mailing information to the wrong recipient. Other releases are related to discarding equipment or media that was not properly sanitized to remove all traces of non-public information. Loose editorial and content controls can allow these types of breaches to occur and can also create other types of liability related to content published electronically. This includes liability related to claims of libel, slander and intellectual property rights infringement. 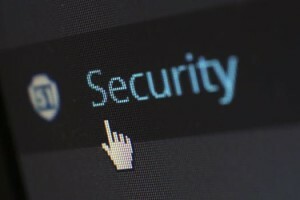 Additionally, while some releases involve rogue employees who gained unauthorized access to private information, many employees simply misuse authorized access privileges. Social engineering techniques, for instance, manipulate employees into performing acts that facilitate a breach or divulge confidential information. Knowing the risks you face will make it easier to develop your risk management strategy. The unfortunate fact is that not all breaches can be blocked. However, there are many ways business owners can lessen their risk of getting hacked. For a more information or a quote please contact your Professional Underwriters Inc. agent or contact us at puimich@profunderwriters.com or complete a quick quote contact form.